Benevino Vineyards provided premium grapes to Virginia wineries for nearly a decade before it initiated production with its own 2007 Cabernet Franc. The wine immediately achieved critical acclaim—in a state wine competition at the Town Point Festival in Norfolk VA Benevino Vineyards Cabernet Franc, competed against 30 wineries and 130 wines, placed second in the state for Cabernet Franc overall, winning a silver medal. Waterford (now Corcoran) Vineyards 2005 Cab Franc won Gold in the 2007 Virginia State Fair and silver (no Va CFs earned gold) in the 2006 American Wine Society. Gadino Cellars 2006 Cab Franc also won silver at the AWS. North Gate Winery 2007 Cab Franc won Gold (first ever Va CF) in the 2008 American Wine Society and 2009 Eastern Seaboard competition. Sunset Hills 2007 Cab Franc Reserve won Double Gold and Best in Category in the latter. Fabbioli Cellars 2007 Cab Franc won Gold in the 2009 Virginia Governor’s Cup. 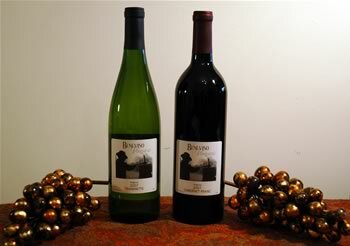 Of the five Cab Franc wines winning Gold in the 2009 Virginia Wine Classic, four sourced Benevino Vineyards fruit. Of the four Virginia Cab Francs earning medals in Decanter magazine’s 2010 World Wine Awards, three of them sourced Benevino fruit.